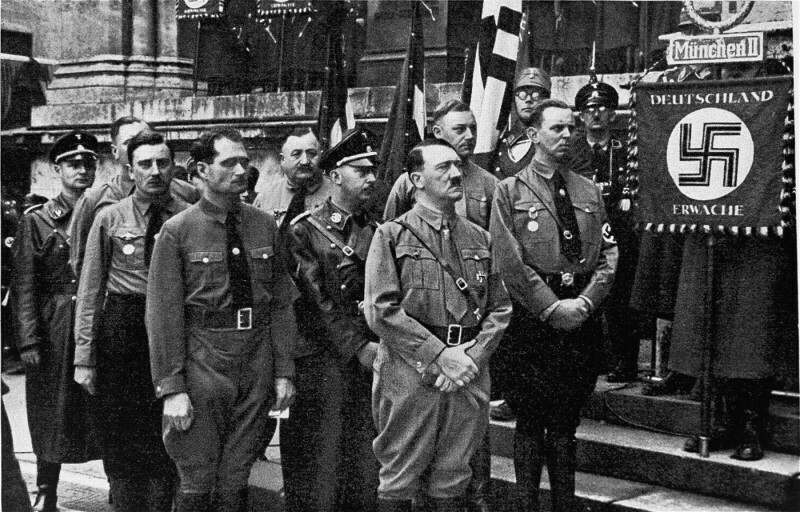 Adolf Hitler and other participants in the Hitler Putsch, during the annual anniversary celebration of his failed attempt to seize power. Behind Hitler stand Rudolf Hess (left) and Heinrich Himmler. Munich, Germany, November 9, 1934.